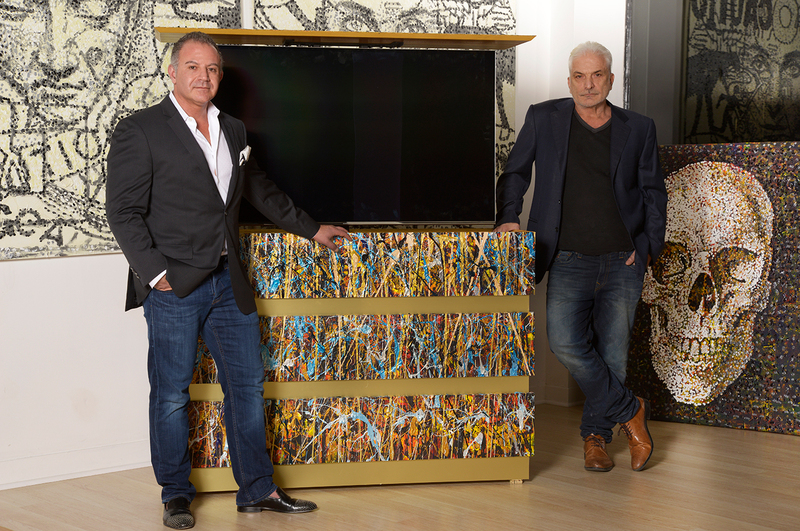 Pierre Matta, co-owner and designer of Newton Kitchens & Design, is always thinking of contemporary new takes on cabinetry. He’ll do an acid wash on cabinetry doors, use studs for a contemporary look, metallics, even shagreen, for a sharkskin leather look. Lately, he’s partnered with local artist Giovanni DeCunto to bring painted artistry to his designs. Typically, art is something we find in every other room in the house. Yet, in Matta’s way of thinking, homeowners should bring art into the kitchen, wet bar or any other surprising place it hasn’t ventured before. Given how much time we spend in the kitchen, it only makes sense to enliven that space with beauty. DeCunto’s explosive, expressionistic paintings are featured in the Smithsonian’s Portrait Gallery, the Museum of Fine Arts, as well as a host of embassies, high-end hotels and celebrity homes, and, now, his art can grace your cabinets as well. Below is an example. “It’s a personal piece,” explains Matta, of the raven-colored unit. 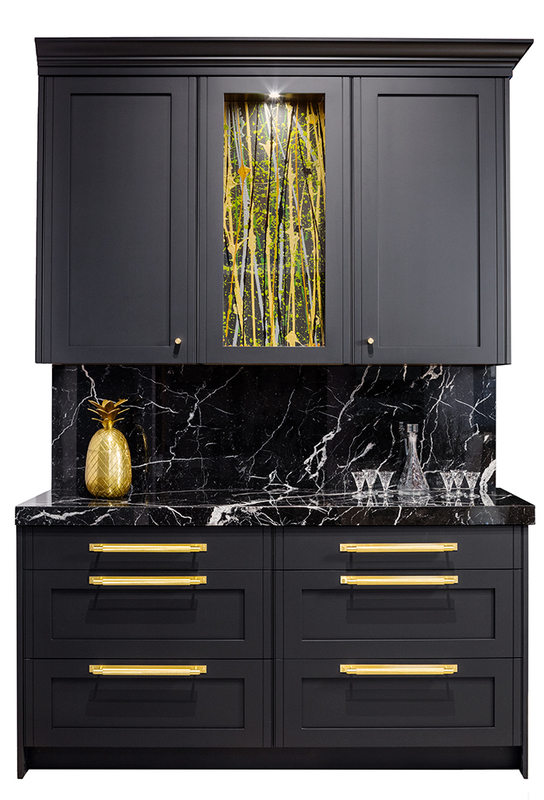 And it’s all the more dynamic for that central shock of color that teams so brilliantly with the black marble and gold hardware. While Matta designs and builds the pieces for Newton Kitchens & Design, DeCunto provides the artwork. Clients can incorporate one or many panels, depending on the look they are after. The creative duo recently completed a pop-up TV cabinet (shown at top), where the top lifts and the screen emerges. So many people like to hide the TV, explains Matta, and now they can do so artfully. “When it’s all the way up,” he continues, “you can actually spin it” to view the screen at different angles.